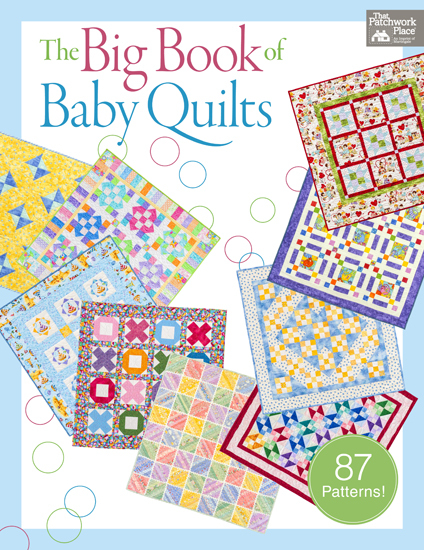 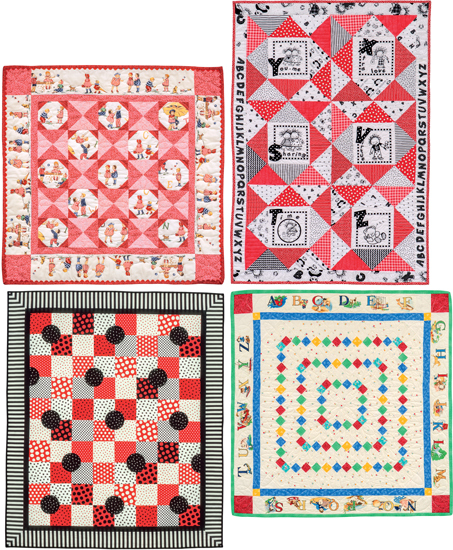 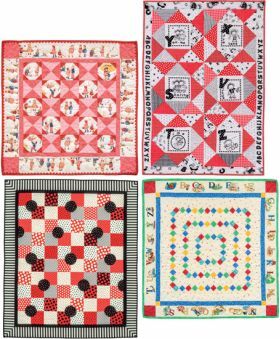 With this collection of delightful baby-quilt designs by top-selling authors, you'll always have the perfect baby gift. 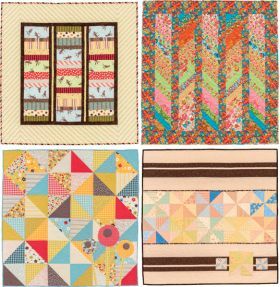 Designers include Amy Ellis, Evelyn Sloppy, Jenny Wilding Cardon, Joan Hanson, Karin Renaud, Karla Alexander, Mary Hickey, Nancy J. Martin, Nancy Mahoney, Retta Warehime, Sara Diepersloot, Sarah Bisel, Susan Dissmore, Teri Christopherson, and Ursula Reikes. 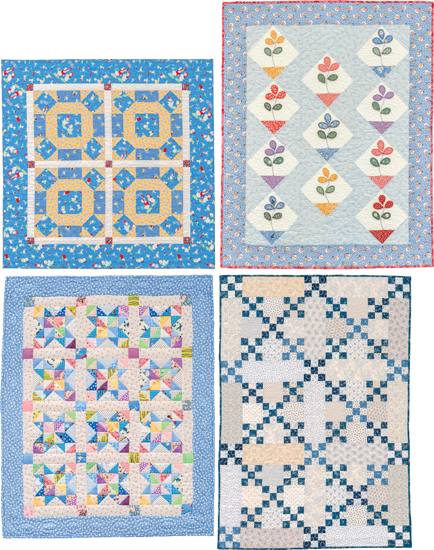 I can't get over the variety of baby quilts that they've included here -- There's applique and curved piecing and prairie points and rick rack and chenille...The quilts range in size from 30x30" to big crib-sized and all of the patterns have the clear, complete instructions that I've come to expect from That Patchwork Place. 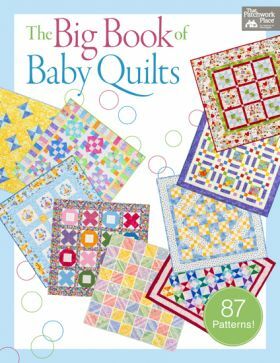 I could see a charity quilter working her way through the whole book! 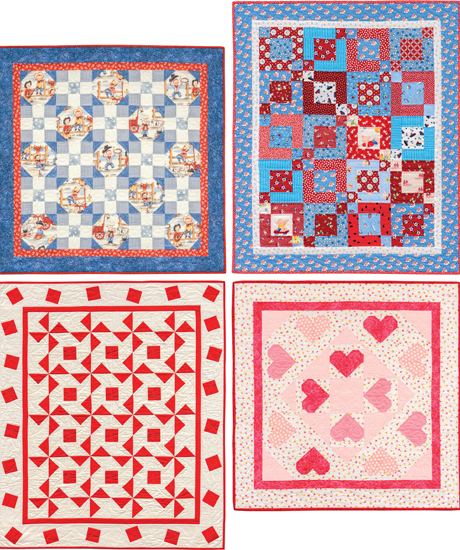 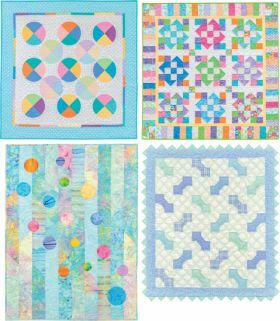 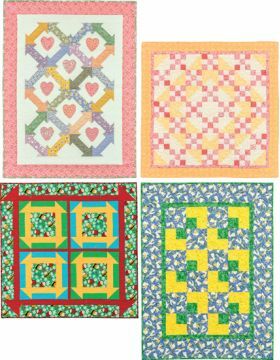 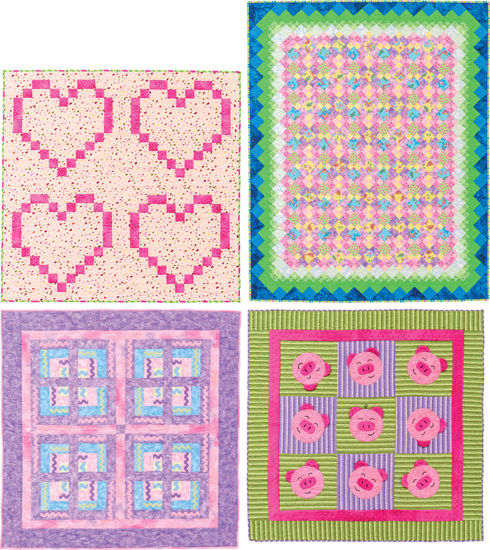 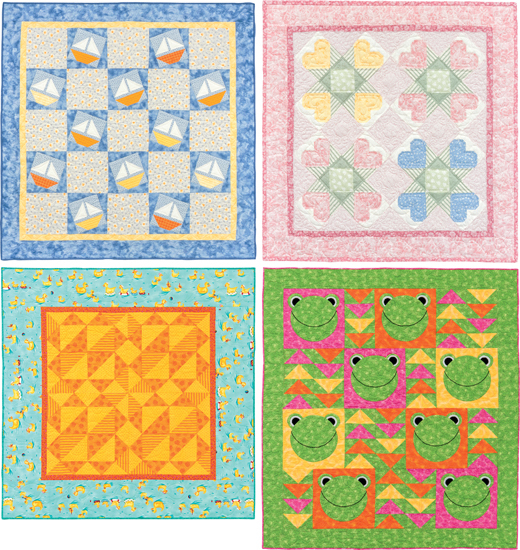 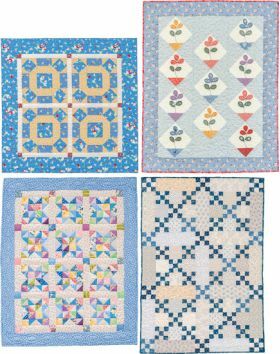 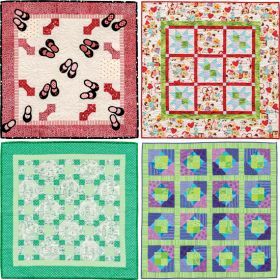 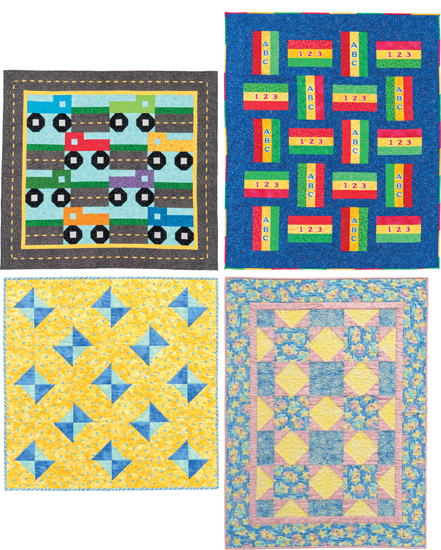 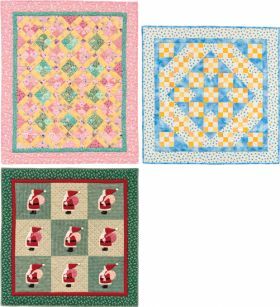 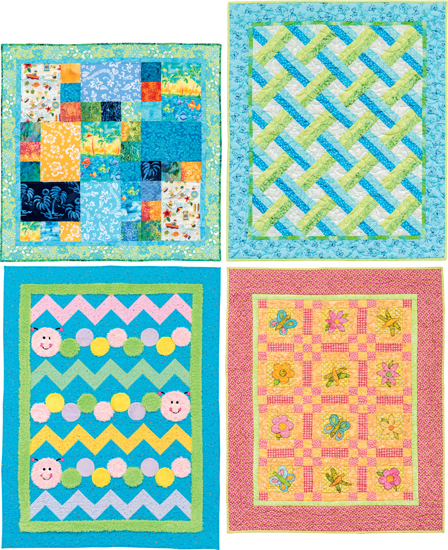 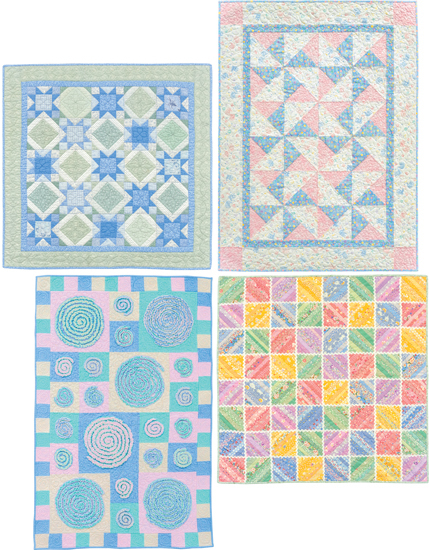 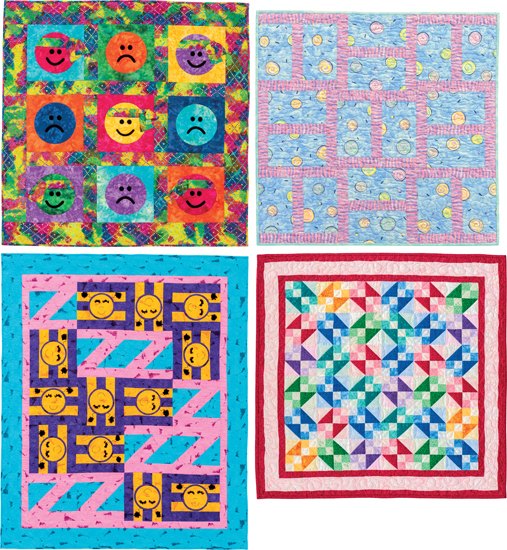 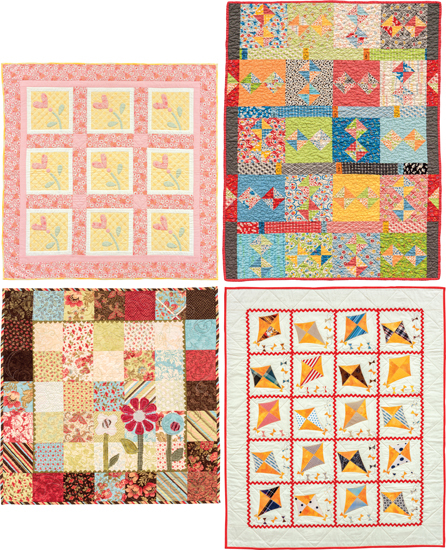 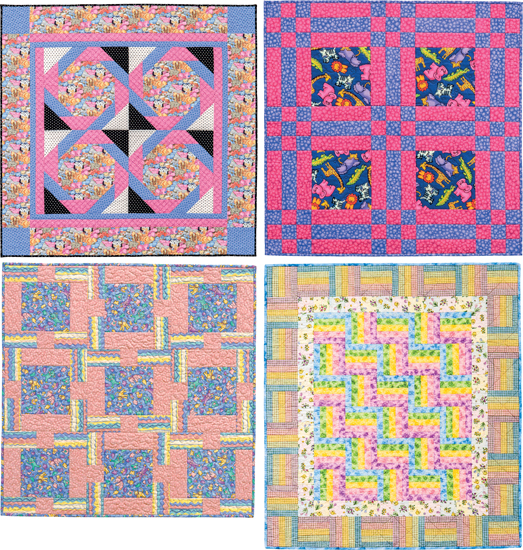 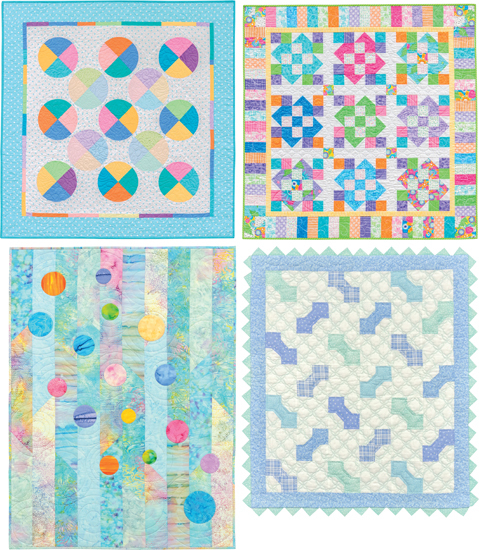 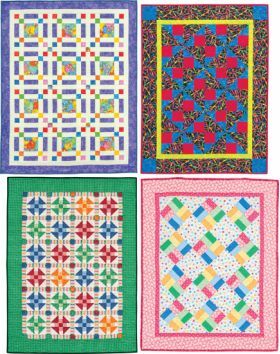 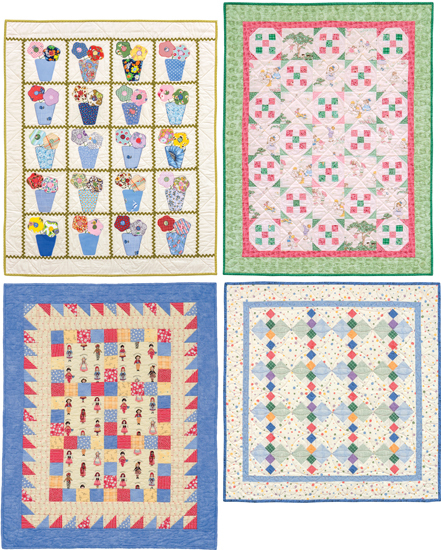 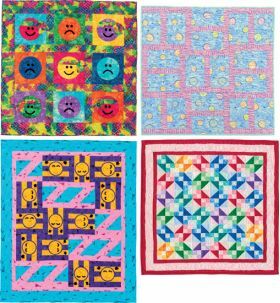 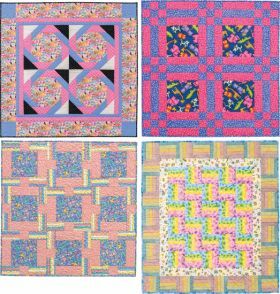 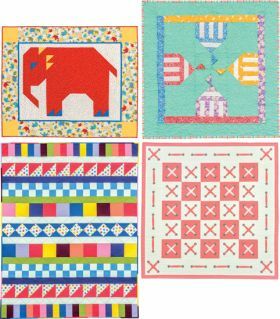 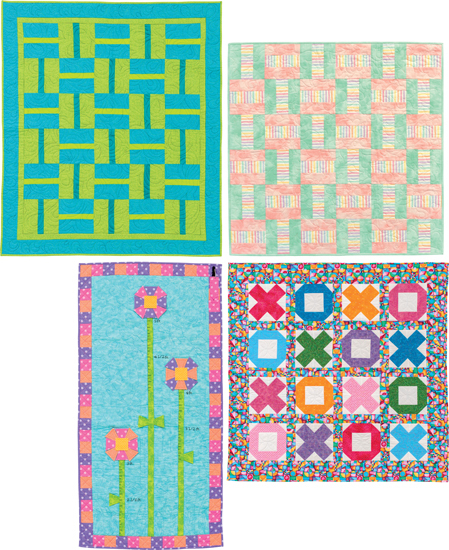 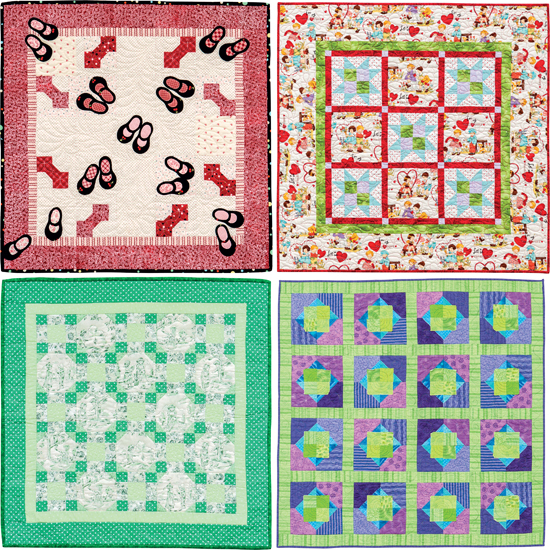 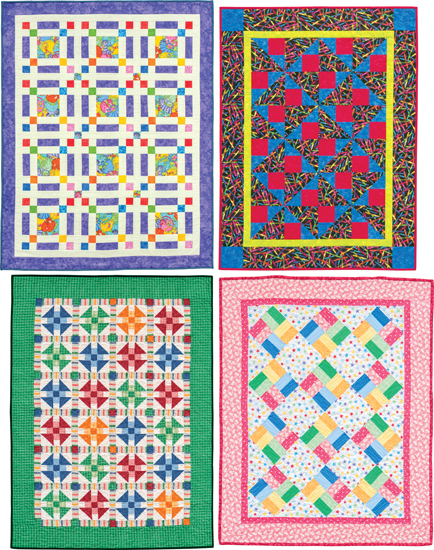 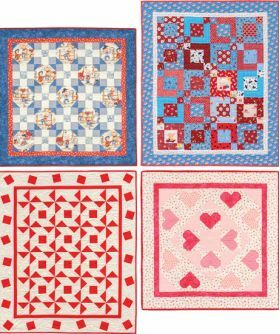 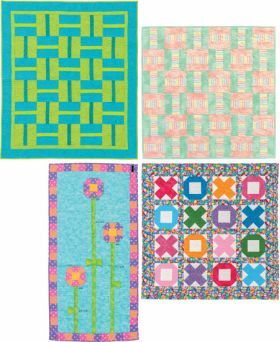 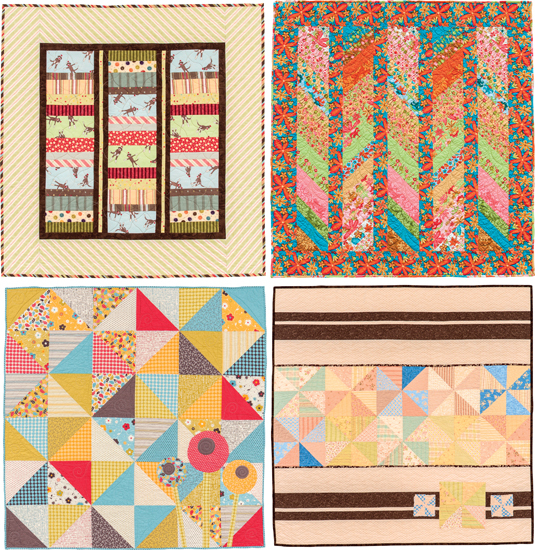 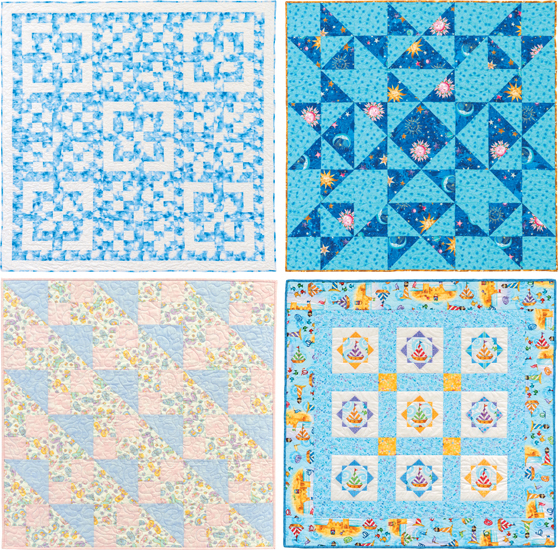 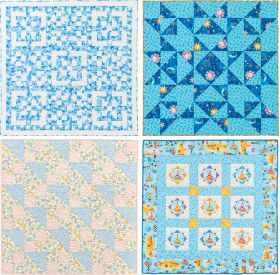 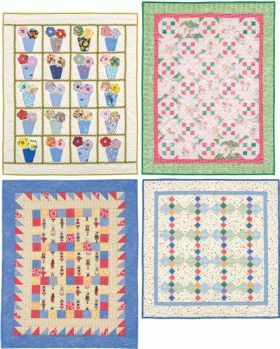 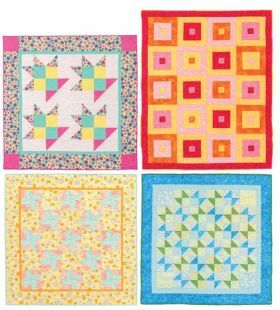 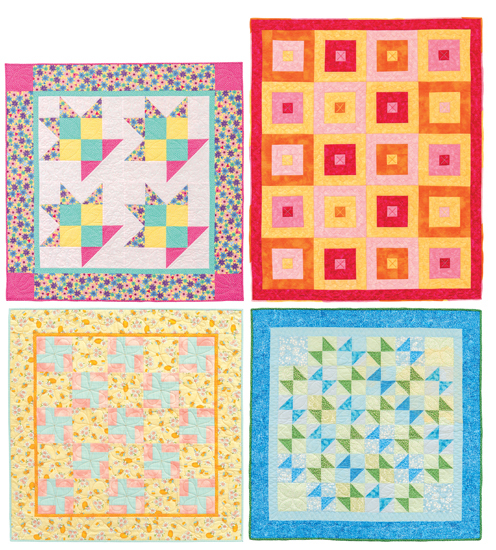 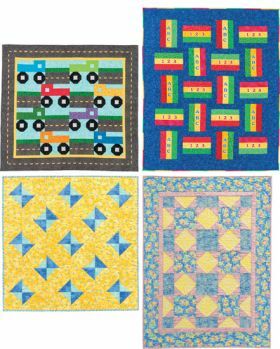 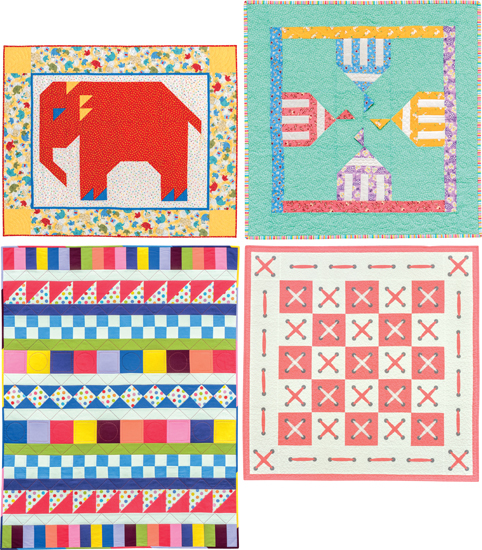 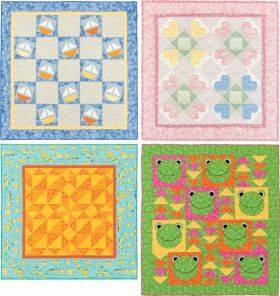 Sew Sweet Baby Quilts - Precuts * Shortcuts * Lots of Fun!